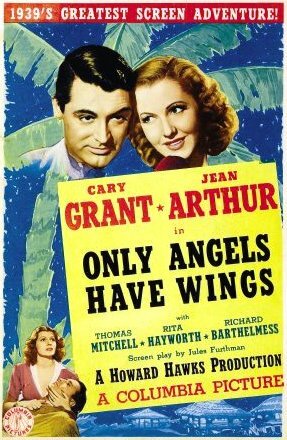 ~ Only Angels Have Wings – One of the classic movies from the vaunted year of 1939. This boasts a cast that includes Cary Grant, Jean Arthur, Rita Hayworth, Richard Barthelmess, and Thomas Mitchell. It is generally regarded as among Howard Hawks’ finest films, particularly in its portrayal of the professionalism of pilots in the film, the atmosphere, and flying sequences. It bridges themes displayed in the director’s early movies of the 1930s to his later work in the 1940s and 1950s. This is the production that solidified Hayworth as a bankable star. 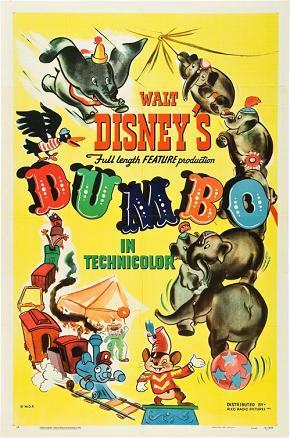 ~ Dumbo – A 1941 animated classic by Walt Disney. Voice actors included Edward Brophy, Cliff Edwards, Verna Felton, and Sterling Holloway. This Oscar-winning production leaves a legacy that includes a popular attraction ride for youngsters at Disney Theme Parks. Walt recouped the loss from the release of Fantasia with this modest work. 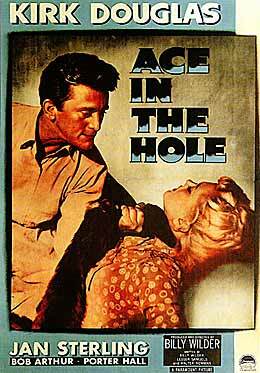 ~ Ace in the Hole – Created by Billy Wilder, this is one of two productions chosen this year that featured Kirk Douglas, who just recently turned 101. Though a critical and commercial failure in 1951, today’s critics see the work as a companion piece to Sunset Boulevard for its scathing rebuke of the media. This story is a cynical examination in the manner in which news is reported. The movie also shows how gullible the public can be when manipulated by the press. 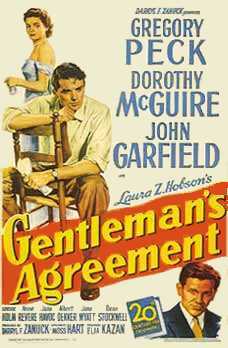 ~ Gentleman’s Agreement – Best Picture of 1947, it starred Gregory Peck, John Garfield, Dorothy McGuire, and Celeste Holm. One of two movies selected by this year’s National Film Registry that explores racism; in this case, antisemitism. A controversial production for their time was directed by Elia Kazan, and captured similar themes from another work released in the same year, Crossfire. Producer Darryl F Zanuck was named Man of the Year for courage in making the piece by B’nai B’rith International. ~ Spartacus – A big-scale production starring Kirk Douglas, Jean Simmons, Tony Curtis and Laurence Olivier. It is notable for the audacity Douglas displayed in getting blacklisted writer Dalton Trumbo on the screen credits for the first time in a decade. President John F. Kennedy lent his support of Trumbo when attending the premiere. It also had gay-themes, considered contentious at the time. This was the first big-screen production directed by Stanley Kubrick. 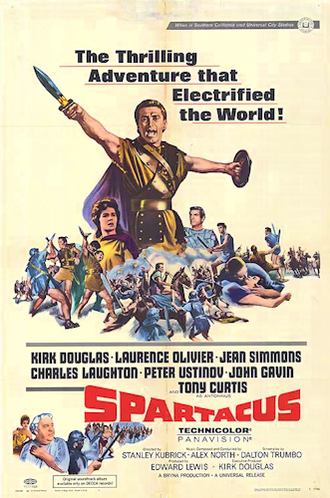 Spartacus won four Oscars in 1960. ~ Guess Who’s Coming to Dinner – A discussion over the nature of inter-racial unions, it marked the final performance by Spencer Tracy. He died from heart failure 17 days after the conclusion of production. Director Stanley Kramer and Katharine Hepburn posted insurance money to complete the film since it was widely believed that Tracy was to ill to complete his assignment. 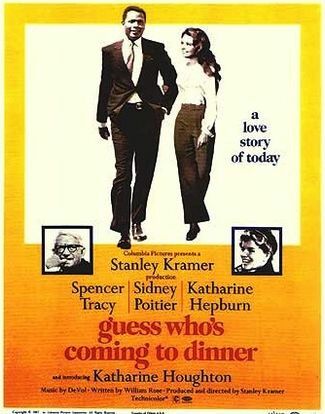 The flick was the ninth Tracy-Hepburn collaboration; plus, one of three popular cinematic efforts conducted by Sidney Poitier in 1967. Hepburn won a second Oscar for her role. Anti-miscegenation laws were struck down by the Supreme Court in Loving v. Virginia, six months prior to its cinematic release. This ruling was the subject of an acclaimed movie released last year. “`Congratulations to this year’s additions to the Library of Congress National Film Registry. This entry was posted on Wednesday, December 13th, 2017 at 12:59 pm	and is filed under Blog by Manny Pacheco. You can follow any comments to this post through the RSS 2.0 feed. Responses are currently closed, but you can trackback from your own site.